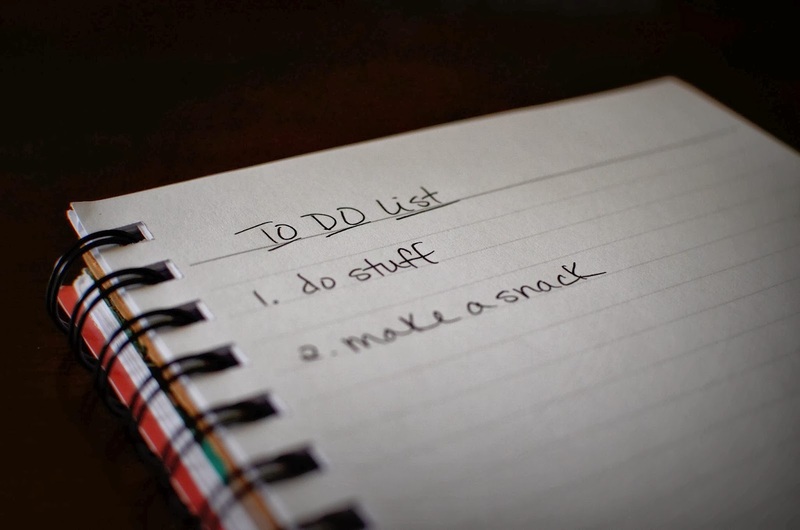 Do you write a to-do list each day or week? As an ADD survivor, I've never been that ambitious. I tend to have lists that focus on the next hour. And there's bargaining even in that short bullet list. "Jamie, if you reply to email for 45 minutes then you can watch 15 minutes of cat videos." Since I'm still a Stay-At-Home-Jamie, my life looks different. Being unemployed has added all these hours to my day. Some are spent being productive doing freelance work or volunteering or spending time with neglected family and friends. But some of those hours are spent very aware of feelings I've ignored. The loudest is anxiety. While I was working full-time, I just plowed ahead through long work weeks trying to be more than my job description required. I'm a recovering people-pleaser who struggles with "no" and generally nods in agreement and then competes to be the best, fastest, and most. But all the "yes" often lands people pleasers somewhere between mediocre and burned out. The end of almost every day of the past every year has been spent racking my brain for the task I forgot or the person I overlooked or the project that needs one last moment of attention. That anxiety lingers even now, almost three months later. I have to remind myself, often out loud, that I don't have a job. There's nowhere to be. There's no schedule. This immediately births a more paralyzing stress - I must find a job. I must talk to people who can help me find a job. I must learn to answer questions people ask about me finding a job. God prompted this storyline, so I've been waiting on Him to wrap up the cliffhanger. Waiting not-so-patiently. This past week, the patience had been more difficult to access. Of course, God sent me messages in response. "Last night I was in my kitchen asking God like why oh why are you making her wait??? Come on now!? (I was a little ticked, lol!) and I clearly heard him say, 'I'm not making her wait. I'm letting her rest. This is my holy rest, my gift!' A season of rest is right and fitting. It's his gift to you, preparing you for his next." So I don't have to rush or be anxious. I can rest. There's no task or person or project or job that matters more than now. Focus on the becoming, not the waiting. Rinse and repeat. What are you anxious about? Do you struggle in the waiting? What's your "cat video reward" for accomplishing tasks?